On one hand, the objectives faced by the Ex-Designer are to build a new perception of design, starting from technology, innovation and fiction, and thus defining a new relationship between culture, art and business. On the other hand, it seeks to set up and consolidate the new parameters of the creative class. The Ex-Designer compares the aesthetics and function of experiential products. It proposes the ‘business model’ as a new artistic discipline. It experiments with the most radical form of Food Design. The concept of Ex-Designer came about in 2001 to define Martí Guixé’s work in the field of design, as a result of the decontextualization that his work is often characterized by. In 2002, together with Inga Knölke, the concept was presented at the Evolutionäre Zellen contest in Berlin. 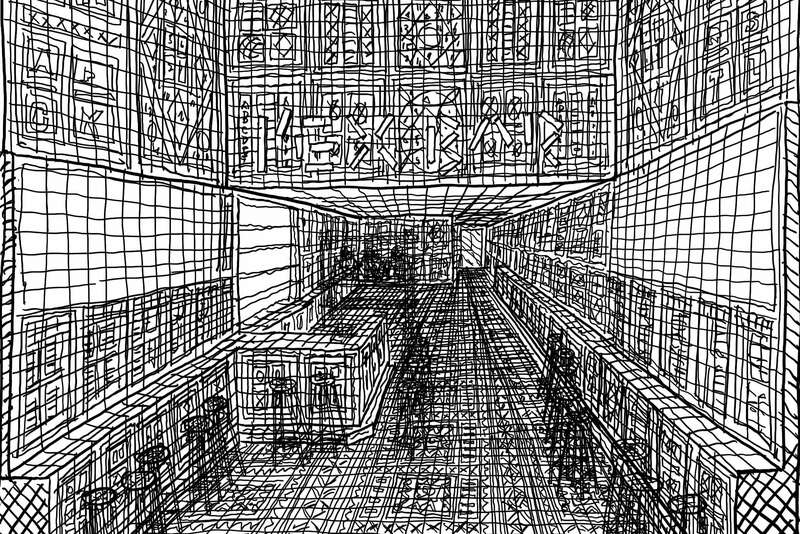 It was presented as a generic system that confers a new status within the profession, and therefore allows the transcendence of limits as imposed by the discipline. 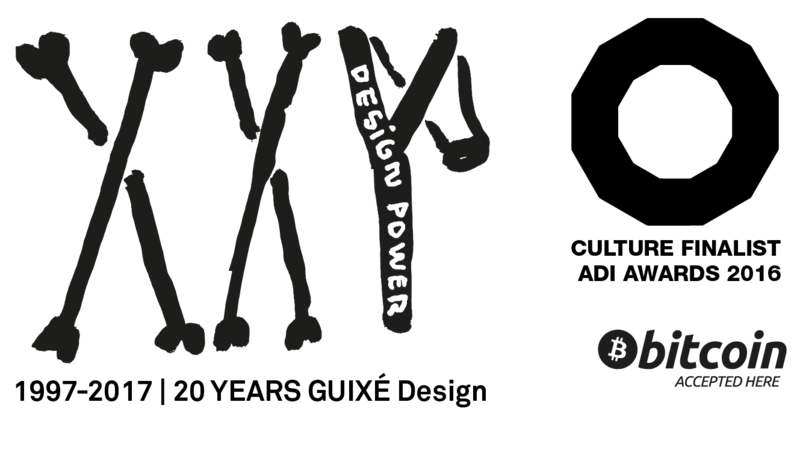 Currently Ex-Designer has become a movement. 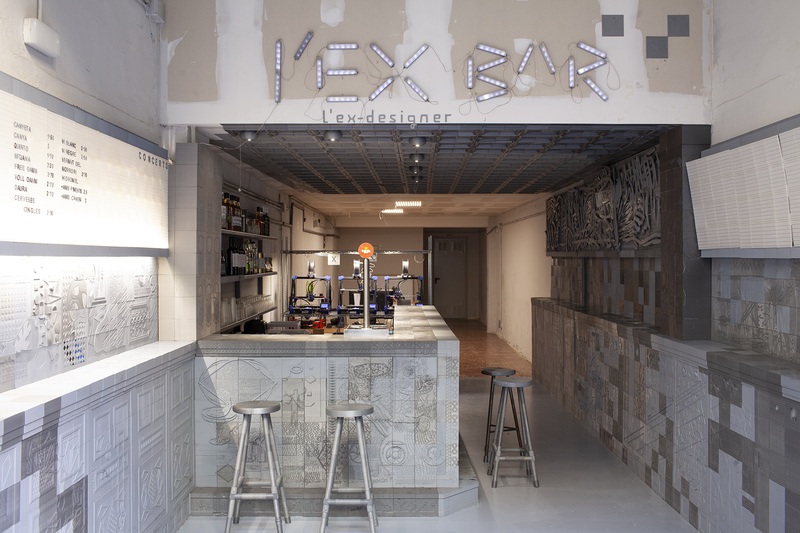 Ex-Designer is a project that takes place in a space in Carrer Entença 3, Barcelona, taking the form of a bar. 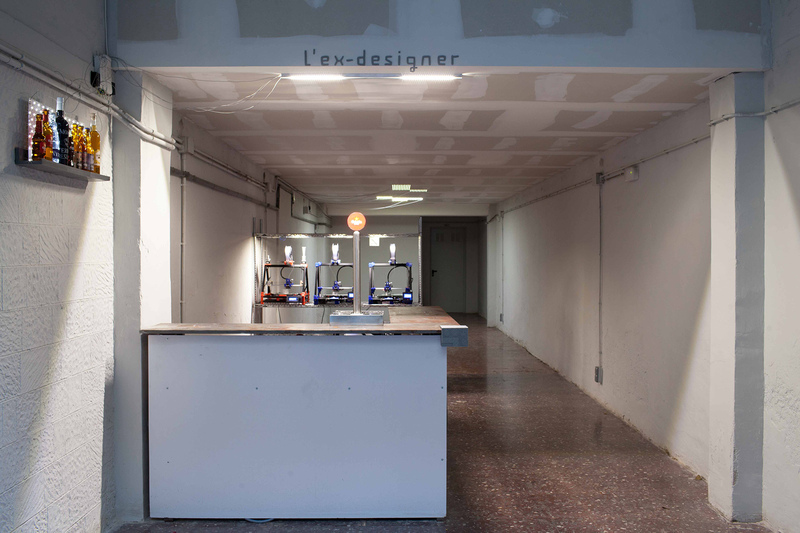 The Ex-Designer space started off as a completely empty interior that is slowly being printed (printing began on the 5th of November 2015). The space will be filled with pieces that will be printed until the bar is complete; from the inner space, to the equipment used in the bar (glasses, plates, tools for cocktails and kitchen utensils). The internal space is made from PLA, a grey corn-starch based material. The glasses and utensils are printed in foodsafe PLA. According to my calculations, the 90m2 area will be completely finished in three years, although I am often accused of optimism in my studio, so one year could be added to the estimated finish time. Once the furniture and the utensils have been printed, the machines will be used to print food. These edible prints, even if they are still in beta, started with 'DS20Y17' in February 2017, when the digital SPAMT (bread with tomato) was 3d printed. This was exactly 20 years after the first food design presentation of SPAMT, that was presented at the Galleria H2O in Barcelona in February 1997. 24 DUOT presenta "10 anys 10 hores"
09 Núria Andorrà, percussió + Albert Cirera, saxos + Sarah Claman, violí + Nuno Rebelo guitarra. Pop-up Store Sixx Cult x Sabor x HoodieznHatz. "El tocadisc com a instrument acústic", a càrrec de Ferran Fages.